This Ultimate All SEAL Romance superbundle is made up of four full-length novels and two novellas, almost 900 pages of reading enjoyment that would combined sell for over $22.00. 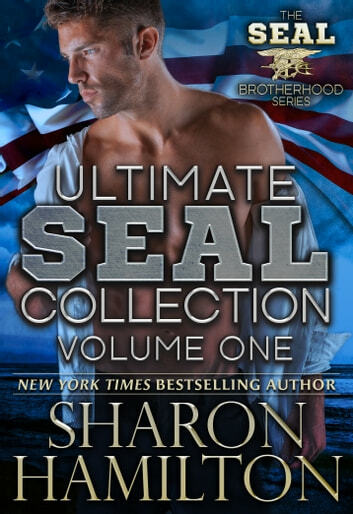 Sharon Hamilton's award-winning SEAL Brotherhood Series includes the following books, in order: SEAL Encounter (prequel to Accidental SEAL), Accidental SEAL Book 1, SEAL Endeavor (prequel to Fallen SEAL Legacy), Fallen SEAL Legacy Book 2, SEAL Under Covers Book 3, SEAL The Deal Book 4. All these books are available in print and in Audio book form. Join the fictional SEAL Team 3 as they live and love and learn life's lessons. I really enjoyed each of these navy seals stories. You give just the right amount of mystery and intrique to offset the very hot and steamy love scenes. Overall I will certainly recommend this read to my friends.